Thanks to the recent acquisition of 56 Kiki Smith prints, the High is now a major holder of her work. Smith will visit the Museum on Thursday, January 19, 2012 at 7 p.m. for a conversation about her techniques and the extensive range of imagery incorporated into her pieces. She'll be joined by Robert Brown, Printmaking Chair, SCAD Atlanta, along with the High's Director of Collections and Exhibitions, David Brenneman (always a terrific speaker) and Michael Rooks, the High's Curator of Modern and Contemporary Art. Tickets are $15 for non-members and $5 for students with ID. I was thinking that a couple of tickets paired with a past exhibition catalog would be a great holiday present for a Smith fan. 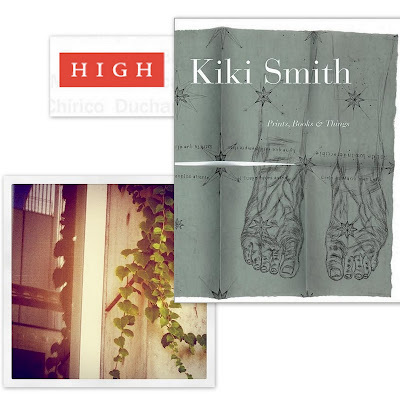 BTW, the High's acquisition is currently on view in Kiki Smith: Rituals, continuing through January 22, 2012. Rosamond Bernier's new book, Some of My Lives: A Scrapbook Memoir, turned out to be one of my favorite 2011 reads. It's brisk, funny, informative, and even a bit inspirational. Because of Bernier's close ties to all the 20th century art world giants, her collection of essays would also pair well with tickets to the High, specifically the exhibition Picasso to Warhol. Alternate pairings include anything Matisse or Picasso related -- maybe a DVD of one of her Met lectures. 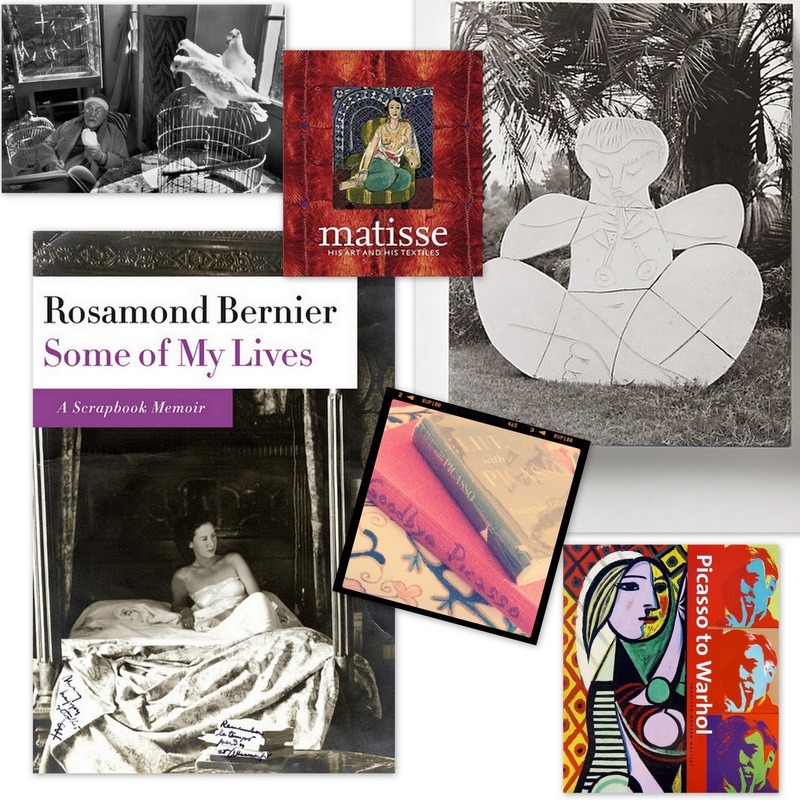 In the past, we've gone over two classic titles filled with photos of the artists at home: David Douglas Duncan's Goodbye Picasso and Matisse, His Art and His Textiles: The Fabric of Dreams. But there's also Picasso: The Mediterranean Years 1945-1962, from Gagosian's 2010 show.